Coming from a guy dressed like Mr. Furley, there's no room to talk, buddy. She's an attractive gal, and you're pleasant looking at best. Be thankful for what you've got. 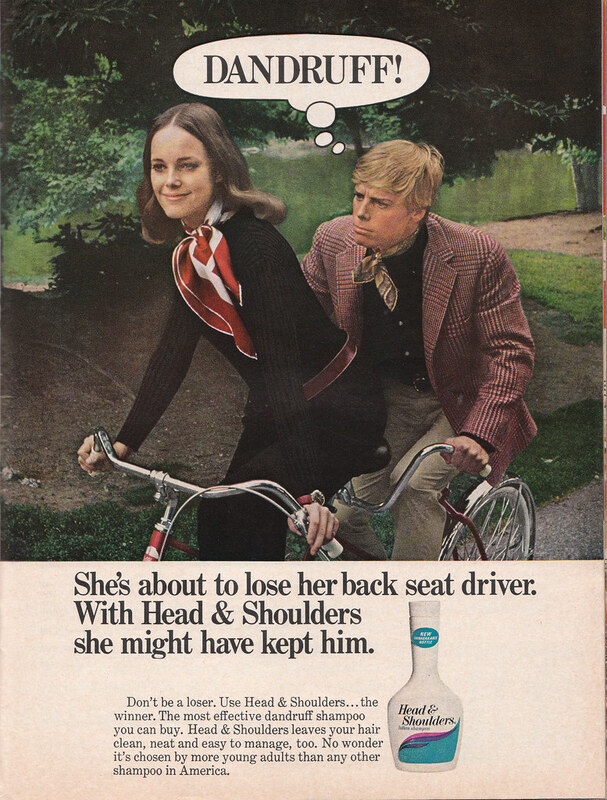 My advice: Spend a little less time staring at her slight faults and a lot more time pedaling, son! One of the surest marketing tactics is the "embarrassment factor": the fear that, because you didn't buy this product, you will be shamed or rejected. It's a strong instinct in humans - the desire to fit in and not be an outcast is hardwired into our genes. 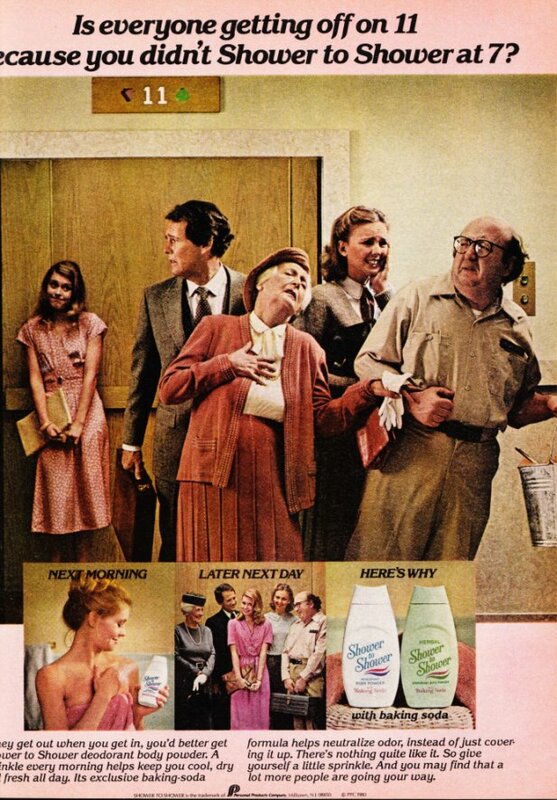 We can't help but fall prey to these advertisements that strike a chord on a primal level. Buy our stuff or you will be shunned! 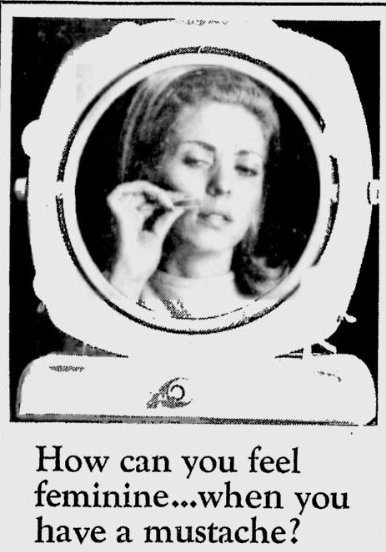 Women don't have to worry about this once commonplace embarrassment (as we've discussed before on Retrospace). A gain for the ladies, (wipes tear from eye) a loss for us men. I don't get it. 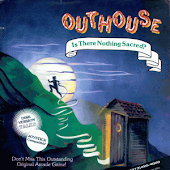 Bill asked her to go to the dance TO-NIGHT, not in ten days. Was there yet another dance exactly ten days later? 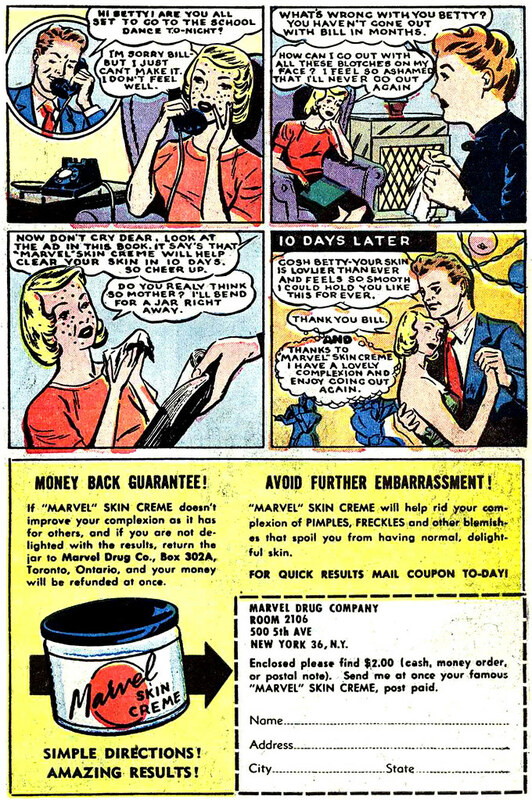 I think this Marvel Skin Creme did something to Betty's mind. When you think of using embarrassment tactics, perhaps none can compare to the iconic muscular bully vs. weakling at the beach. This scenario has played out in so many magazines and comics, I could easily devote an entire post to it and only scratch the surface. 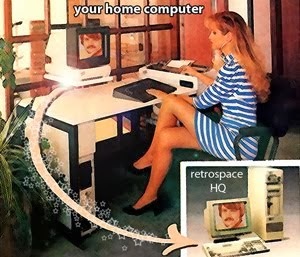 I thought I'd include a less familiar non-English version instead of the legendary Charles Atlas ad everyone's seen. 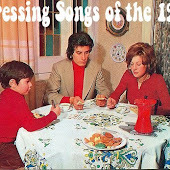 These are the cool people - the groovy set, the with-it clique. You want to fit in with them don't you? Their skin is perfect, yours is splotchy and they will exclude you for it..... or worse, call attention to it in front of your peers. Better buy Komed. Your reputation is at stake. I'm sorry, but there's something else going on here - normal people don't evacuate elevators just because they didn't shower on time. That must be one malicious stink... and it doesn't look like she's been running a marathon. This sounds like a medical condition... I'm thinking she may have a thyroid problem. Good one. Could also reference "Spotted Henry/Medac" with these ads. Um, wouldn't Bill have given up after "months" of being turned down? 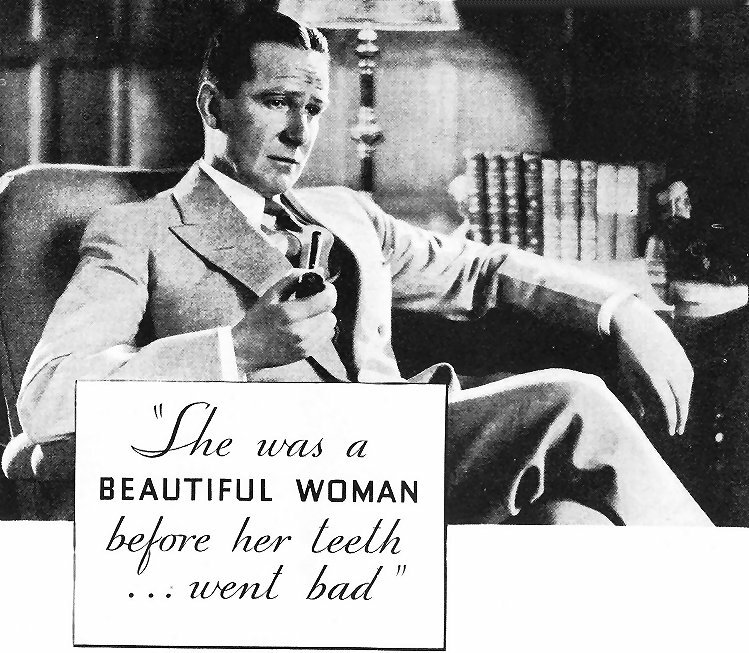 "She was a beautiful woman before her teeth ... went bad. And we had to put her down." Who'd win in a fight? Charles Atlas or Robert Duranton? 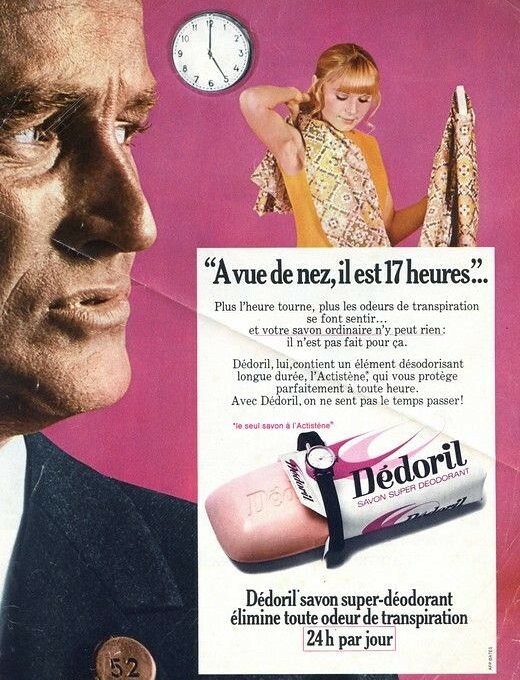 You'll notice the woman in the French deodorant soap ad has armpit hair...I'm not making any cultural jokes, it's just that it provides a place for bacteria to die and decompose, which causes underarm odor. 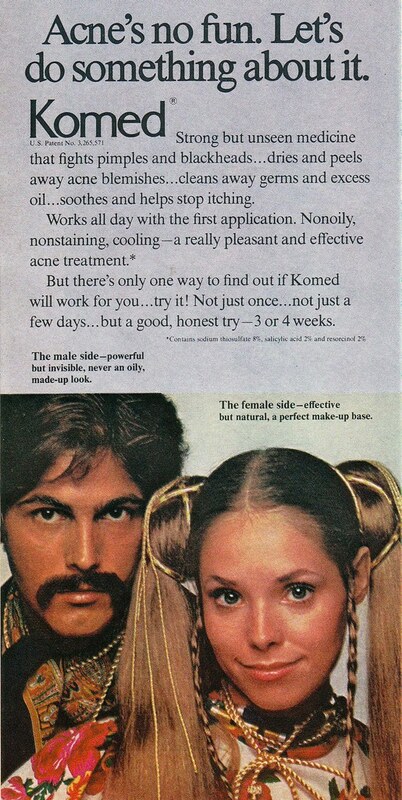 Komed, I believe was medicine and make-up...not a big seller with the guys. I used Shower to Shower..... Until I hung out with a guy who smelled like baby powder, then I stopped using it. What a turn off. 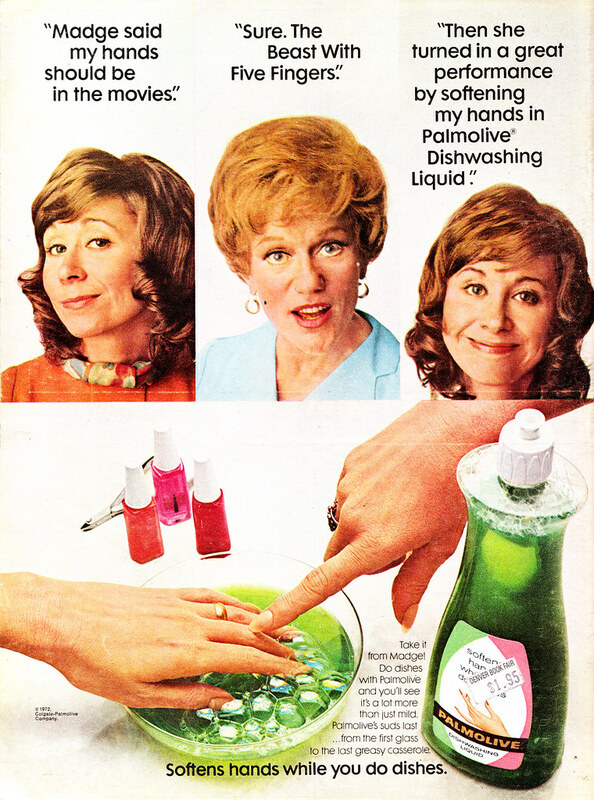 I have never been inside a nail salon, but even at 43 yrs old I fully expect them to have bowls of Palmolive around for women to soak their nails. That's a real thing, right? Sooo funny...especially the last one. 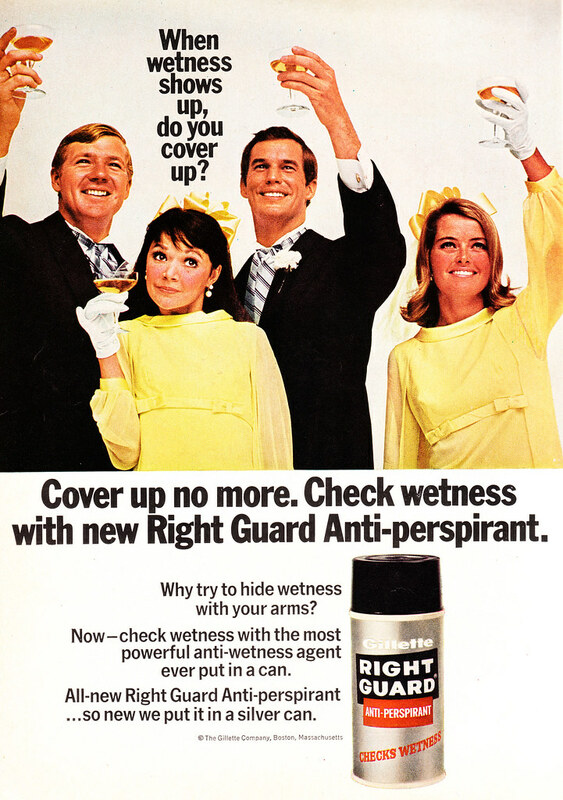 I remember the Shower to Shower commercials. Regarding the French "beach bully" ad, it appears to be a pro-tanning promo, since the gal ditches the pale guy for the bronzed Adonis. 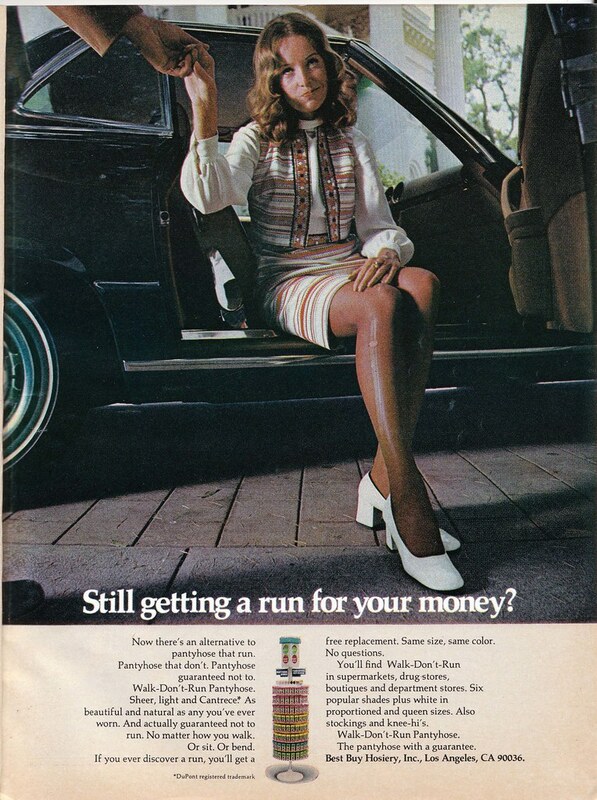 The ad with the run in the pantyhose (nice legs, by the way), reminds me of an incident where a boss of mine snagged her pantyhose on one of those rollaway shelves. She reflexively pulled up her skirt and showed me the run...and a very nice thigh. A small perk, lol. 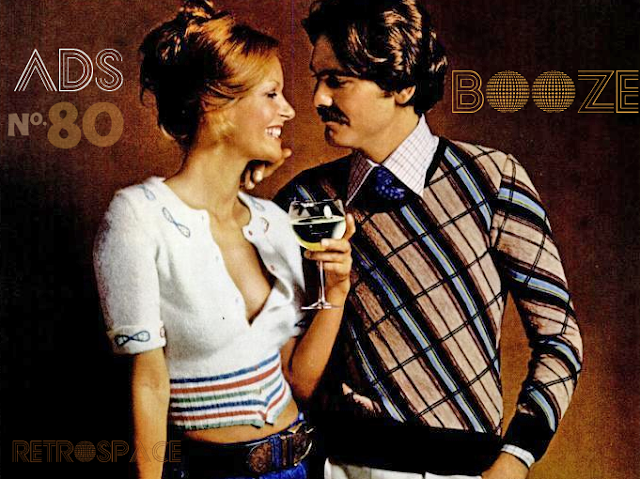 "She was a beautiful woman before her teeth...went bad...and why I had to liquidate her. A bad business, don't you know."